Play on a Friend. If that Friend is not yours, you may exhaust it. 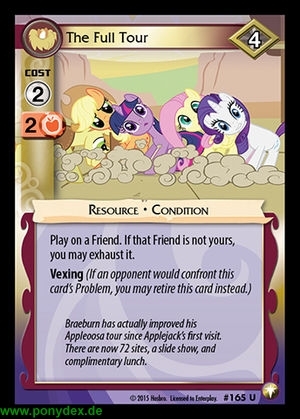 Braeburn has actually improved his Appleoosa tour since Applejack's first visit. There are now 72 sites, a slide show, and complimentary lunch.